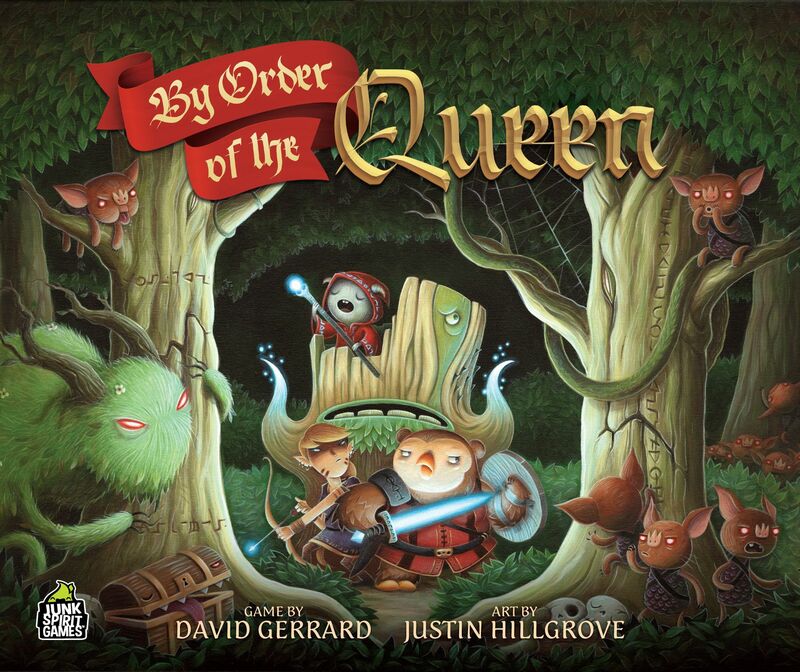 By Order of the Queen is a cooperative 2–4 player game with a fantasy role-playing game theme. Players take on the role of one of the Guilds of Tessandor, working together to dispatch Heroes to important quests, to combat monsters and to complete the Queen's Orders themselves. By Order of the Queen is designed to give players a full fantasy campaign in one 90-120 minute game, by giving players just the highlights of a role-playing adventure. Players must work together to keep the kingdom from falling apart while trying to complete three Queen's Orders to win the game.